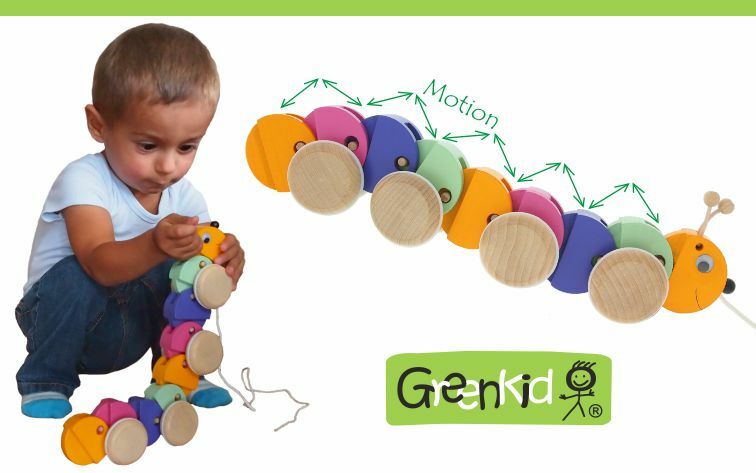 Wooden pull-along caterpillar moves forwards when being pulled and also produce a funny undulating movement – its individual parts move up and down in a wave. 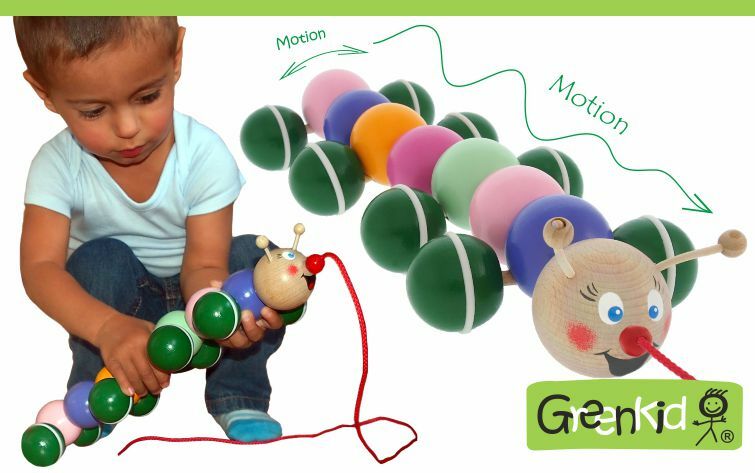 This movement resembles a funny and cheerful movement of real caterpillars. 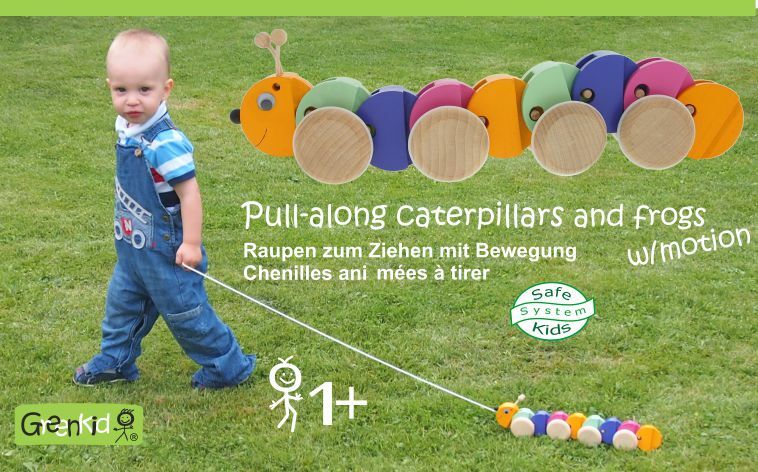 The caterpillar has eight wheels connected by strong axis, which are also fitted with silicone rings. 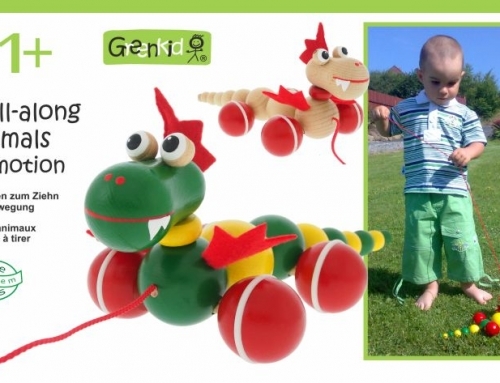 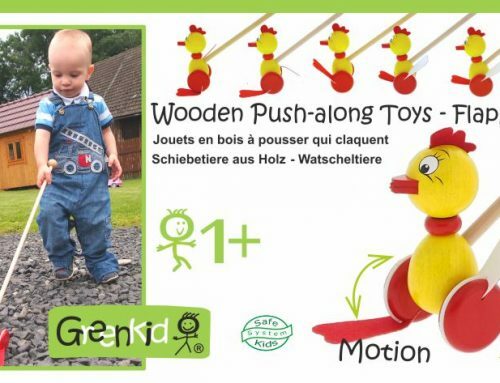 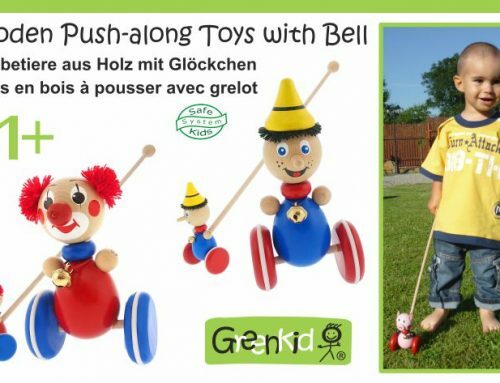 Pull along toys are therefore quiet and the handling is easy even on smooth surfaces. 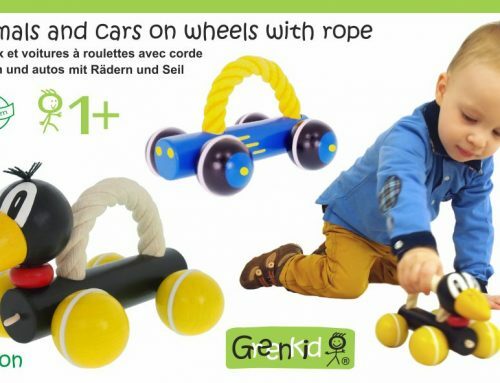 The silicone rings provide a smooth movement on any kind of surface without slipping so the pull-along toy does not lose the funny effect of the movement. 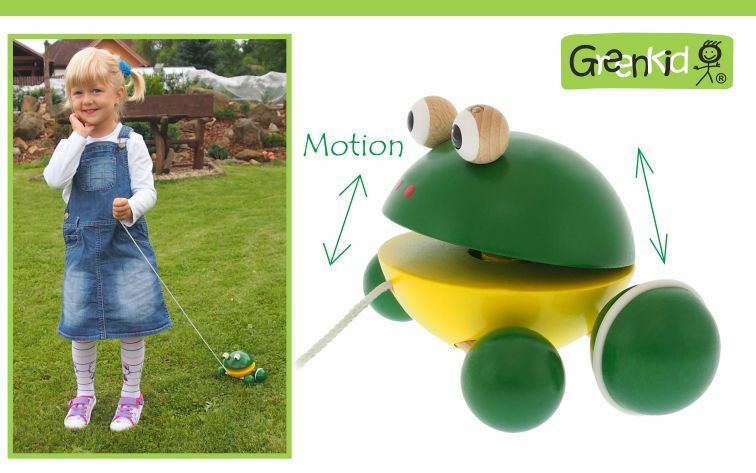 Children can play with it anywhere. 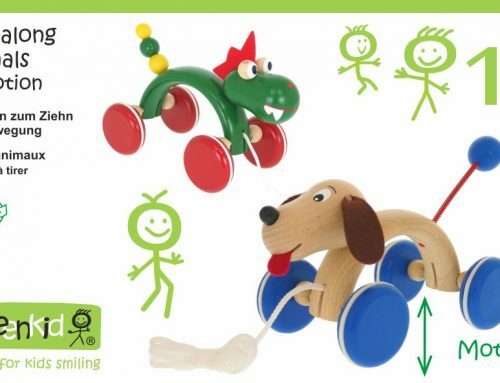 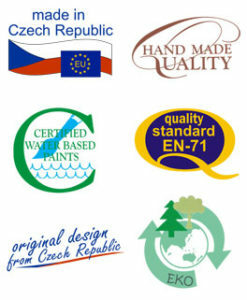 Because these toys are well built they can withstand heavy workload for several generations.